The recovery began at daybreak. But it soon became clear the helicopters overhead might be the only safe way to survey the bridge site. Minneapolis Police Chief Tim Dolan leads the recovery effort for vehicles and bodies above the water line. He says far from the frenzy of activity you might expect, workers are stepping lightly. "Just very, very, very quiet. Virtually no noise at all," said Dolan. "It doesn't take long to look at it to know it's still a very dangerous site." Officials are not yet discussing how many bodies have been recovered above the water, if any. The process is slow and delicate. Engineers who placed monitors on the site last night say the slabs are still moving underfoot. Dolan says chunks of debris still dangle from the mess of girders and concrete slabs that jut from the riverbed. "You want to recover people as quickly as possible, but you don't want to endanger the people that are doing that. So it's a tough balance -- it's almost like an avalanche situation." That balance was most difficult to walk Wednesday night. In at least two cases, rescuers could see and even talk to badly injured survivors pinned in the wreckage, but could only watch as they passed away. Dolan says the original minimum estimate of three days for the recovery is now unthinkable. In coming days police hope to add rescue lines to their arsenal -- workers who rappel down from above into hard-to-reach spots. But it will be some time before heavy equipment can aid the humans creeping over the bridge site. Officials estimate 20 cars are underwater or otherwise out of sight. That's based on estimates of traffic flow at the time of the collapse. 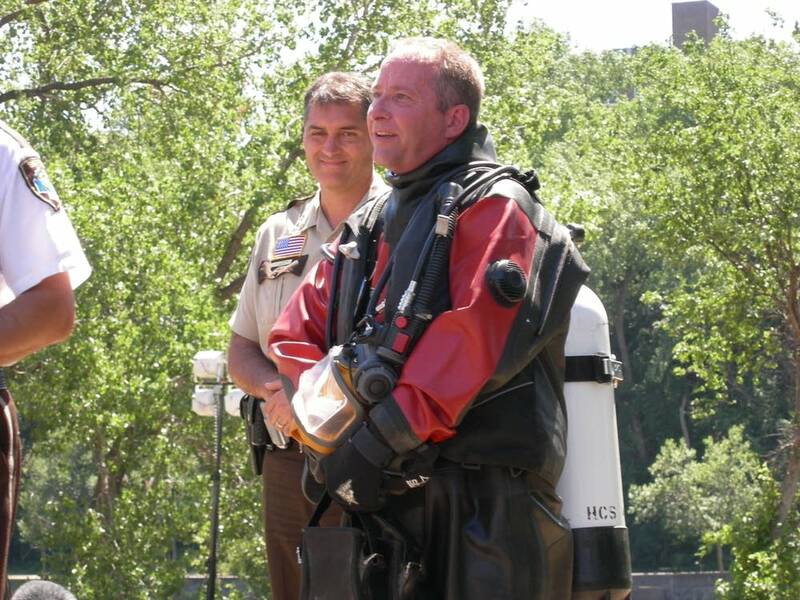 Eric Hurman is a diver for the Hennepin County Sheriff's Office. He's one of a handful who attempted to reach some of those cars this morning. "There's extremely low visibility -- that's extremely common in the river environment. Debris -- very low visibility -- maybe six inches to a foot," Hurman says. Divers targeted a group of four cars that had been mapped out using sonar. The search lasted less than an hour, without any confirmation of bodies or IDs of license plates, and the divers were pulled for their own safety. Inspector Jeff Storms is the dive team leader. "We're making sure we're taking this methodically. 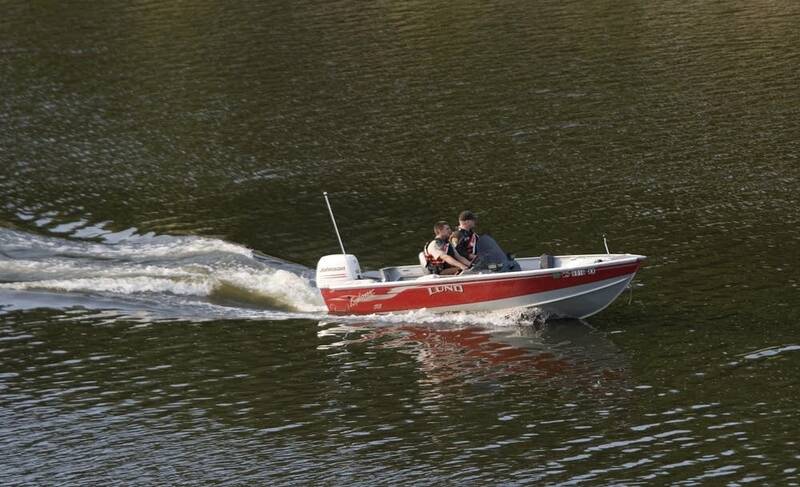 We do have these cars pinpointed on our sonar, with GPS, so it's easy to get to it," said Storms. "But it's the man-made eddies that were created by the dropping of the bridge, a high river flow behind it, that's flowing through very small openings, that's creating a lot of flow." The debris itself has altered the river's flow, creating backwaters and currents that make it hard to see and maneuver. Divers are suited up in heavy gear, and remain tethered with a line for their safety. That line can get easily tangled. By the time the divers got in the water Thursday morning, the Army Corps of Engineers had used the nearby lock and dam systems to lower the water in the area by one foot. Sheriff's officials say they have requested to lower it another foot to try to change the patterns of the river currents. The corps' lockmaster for this part of the Mississippi River is Steve Lenhart. He says the shallower water does not assure a safer environment for divers. In fact, it could make the water rush faster in places. "If we draw that pool down too far and they're trying to do a recovery, it creates a head difference between the upside of the bridge that's collapsing and the downriver side," said Lenhart. "We can't just draw the pool down and walk out there and get these cars, because the turbulence would be so hard going through there that it would be really dangerous for the divers." Lenhart says his lock has life boats and other rescue equipment standing by whenever the Sheriff's team is ready for it. So far, they haven't asked.